Pokémon GO Fest 2018 takes place in Chicago, Illinois on July 14-15, 2018, with tickets costing $20. The event will be held in the city’s historic Lincoln Park, with a 1.8-mile walking course that, among the tree-lined greenery, will include exclusive activities for Trainers of all ages. Single-day passes go on sale on May 11 for $20 on NIA’s event website. Safari Zone Dortmund takes place in Dortmund, Germany on June 30 – July 1, 2018, and the tickets seem to be free. Takes place in Westfalenpark, one of the largest inner-city parks in Europe on June 30 and July 1. Trainers of all ages will be able to catch a wide variety of Pokémon, including some rarely seen throughout Europe! Enjoy the event while exploring one of the largest inner-city parks in Europe, and the unique charm of the city of Dortmund. Learn more on the event website. Safari Zone Yokosuka takes place in Japan later this Summer, with more events to follow across Asia. No further info was shared at this moment. Trainers around the world unable to join the live Pokémon GO summer events will be able to participate and create adventures of their own through a variety of in-game activities and global challenges that will occur around each event. Announcements and updates on how players across the globe can participate in these challenges will be unveiled ahead of each event. In addition, Community Day events will continue throughout the summer, offering bonuses and challenges for players around the world not attending the events. 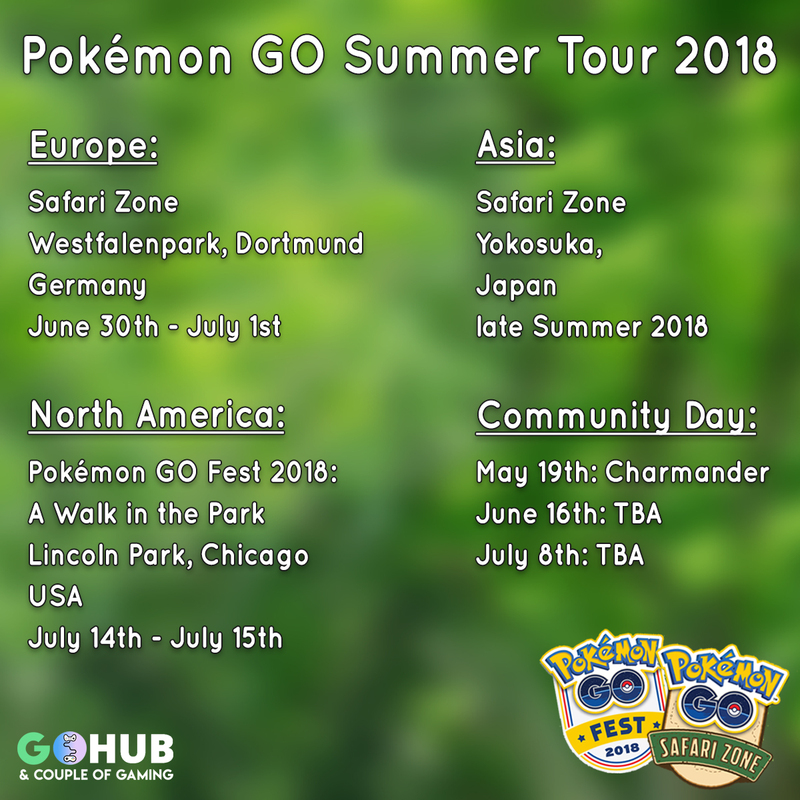 The post Pokémon GO Fest 2018, Safari Zone Dortmund and Yokosuka announced! appeared first on Pokemon GO Hub.